The Jackson 5: I think..
..that it's about time I have this baby. Seriously though, I took a picture of myself today thinking I wasn't that big. But the picture said otherwise. Here I am, almost full term with Sage. 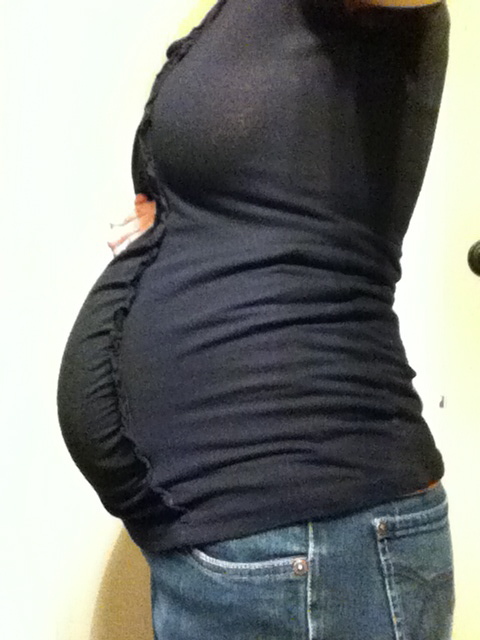 And here I am 31 weeks with this one..practically the same size. 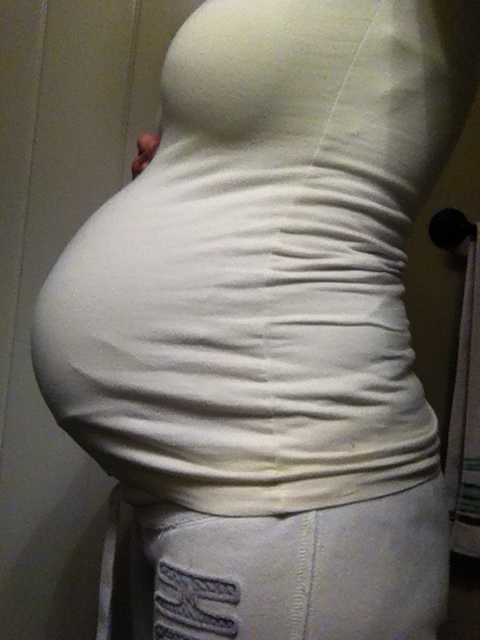 And here I am today, at 34 weeks. Large. Much larger than I was even three weeks ago. Heaven help me. I feel like a stretched whale. My hips are killing me. My pelvis feels broken right down the middle. And my sciatic nerve makes me walk like an old person with a cane. Baby girl I can't wait to meet you, and hold you, and cuddle you, and kiss your face. Hang in there Niki. Tell your hubby to spoil you, because you deserve it.